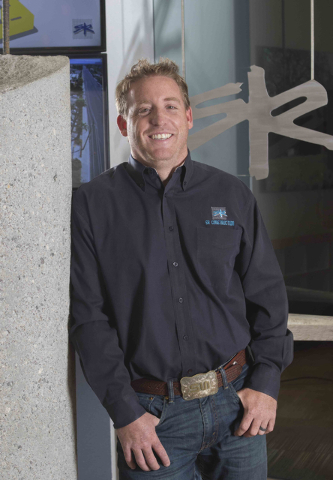 Bret Loughridge joined Las Vegas-based SR Construction in 2008 and serves as the vice president of operations. 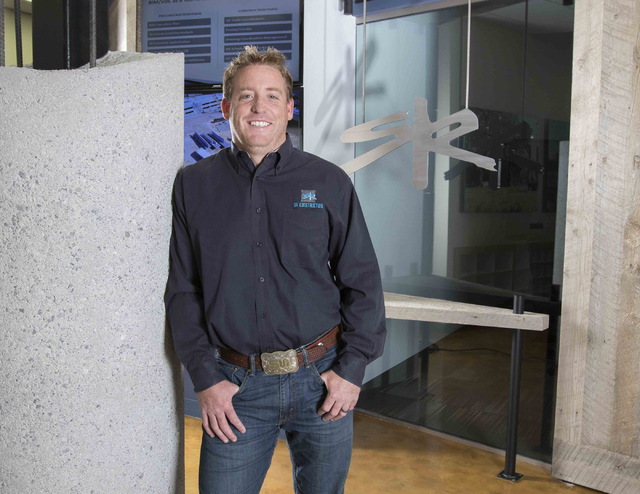 He oversees a team of project managers, engineers and superintendents through the varying phases of construction on projects ranging up to $165 million. Loughridge recently completed the Las Vegas Metro Chamber of Commerce’s 2016 Leadership Advance program, which brings together 50 individuals who hold leadership roles in a variety of industries and at local businesses for 10 months. Participants get the opportunity to enhance their leadership skills, develop new perspectives on the community and join a network of leaders committed to using their talents to improve Southern Nevada. Loughridge joins the more than 1,200 graduates who have completed the program since its launch in 1986. Q: How did you get into the construction industry? A: The construction industry has always interested me. I started working on job sites as a little kid. I did small jobs like picking up trash on the job site and sweeping buildings and lots. It only took one summer of chipping stucco out of planter boxes for me to figure out that although this might be my career path, chipping stucco wasn’t going to be what I’d do for the rest of my life. I decided to go to school and study within the industry and after graduating college I got a job with a big general contractor in San Diego and worked there for several years. In 2008, SR Construction was selected as the contractor for a project at Summerlin Hospital, and I applied for a project engineer position. The rest is history. 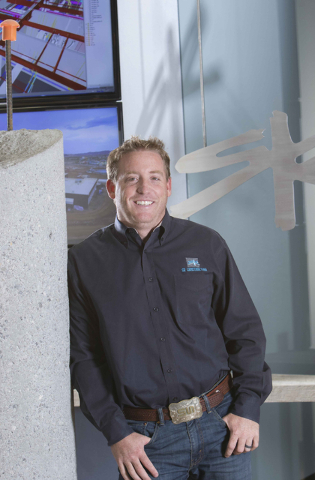 Since that time, I have had the opportunity to oversee numerous projects and held various roles within SR Construction for those projects, including my current position as vice president of operations. Q: What keeps you passionate about the construction industry? Q: Why did you decide to enroll in the Las Vegas Metro Chamber of Commerce’s 2016 Leadership Advance program? A: I think part of being a good leader is having an in-depth understanding of the community where you do business. This was a great opportunity to get more involved in our community and it opened my eyes to the many parts and pieces and how it all fits together and impacts each of us. It was also a great opportunity to get to know different people from different backgrounds within our community. A: I really enjoyed the program and learned a lot. It was great to take in information on various management styles and how to best apply them. I also enjoyed learning how to look at situations from a different perspective. I think it’s easy to get narrow-sighted with how we go about doing things and it’s easy to forget that other people may have a completely different approach. It’s important to remember to take a step back, understand where people are coming from and move forward with the best approach for the situation. The mix of individuals and various professions represented provided diverse discussion and a great opportunity to gain insight into what we see or engage in on a daily basis. Q: What were some of the biggest challenges you faced while in the program and how did you overcome them? A: Of course, with life and work being as hectic as it is, scheduling out a big chunk of time to complete the program was tough with it being a pretty rigorous schedule. Between meetings, work at our job sites and helping run a business, sometimes it’s easier to put this kind of stuff on the back burner. But, I knew if I didn’t dedicate the time, I’d be doing a disservice to our company and myself by not being able to learn and apply the program objectives to keep us moving forward. Q: What are some of the biggest lessons you learned while in the program and how will you apply it to your career? A: In general, knowing more about the community where I live and work provides a huge benefit. On the leadership side, the in-depth discussions on differing management styles and how to parlay those with the different styles of the people you are managing were really helpful. This program also solidified my opinion that the relationships you create with other members of the community are invaluable. You never know what you can learn from the people you meet until you’ve gotten to know them and heard their story. Also, I didn’t expect to, but I learned a lot about the history of Las Vegas, things I never even knew to ask about. Q: What would you tell someone who is on the fence about signing up for the program? A: I’d ask them what they have to lose. No one is the perfect leader. Why not learn something new and meet some wonderful people? Q: Where would you like to see yourself in the future, careerwise? A: I see myself leading SR Construction as we continue to grow in this community as well as expanding into other markets.